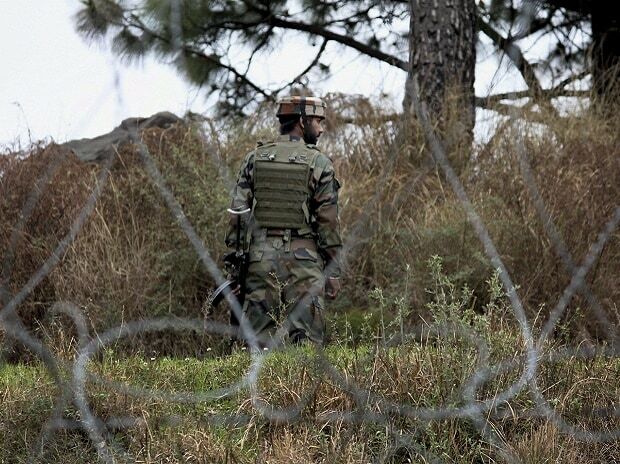 Pakistani troops Monday violated ceasefire by targeting forward posts and villages along the Line of Control in Akhnoor sector here, breaking a two-day lull in cross-border skirmishes, officials said. "The firing from across the border started around 0300 hours and stopped at 0630 hours," a defence spokesman said. He said Pakistan initiated the unprovoked ceasefire violation by firing mortar shells and small arms on forward posts and villages. "Indian Army retaliated strongly and effectively," the spokesman said adding there was no report of any casualty on Indian side. The lull in the cross-border firing had come as a major relief to the border residents, especially in the twin districts of Poonch and Rajouri, where Pakistan had violated ceasefire for over 50 times, killing four persons including three members of a family and injuring several others. The ceasefire violations by Pakistan witnessed a spurt after India's air strike at Jaish-e-Mohammad terror camp in Balakot in Khyber Pakhtunkhwa province on Feb 26 in a "preemptive" action following the terrorist group's Feb 14 suicide bombing in Pulwama in which 40 CRPF personnel were killed. Amid heightened tensions, Army chief Gen Bipin Rawat visited Jammu-based White Knight Corps on Saturday and reviewed the operational preparedness of the forces in the Corps Zone in view of the current situation along the LoC and the International Border. Gen Rawat visited various forward locations of Samba and Ratnuchak along the IB in Jammu region again on Sunday. He expressed complete confidence in Indian Army capabilities to thwart any nefarious design of enemies of the country and handle any situation. The Army chief also praised the high state of morale and preparedness of the troops.